We spent the day with friends, Bart & Ellie, in St Petersburg on their 49ft Defever MY. 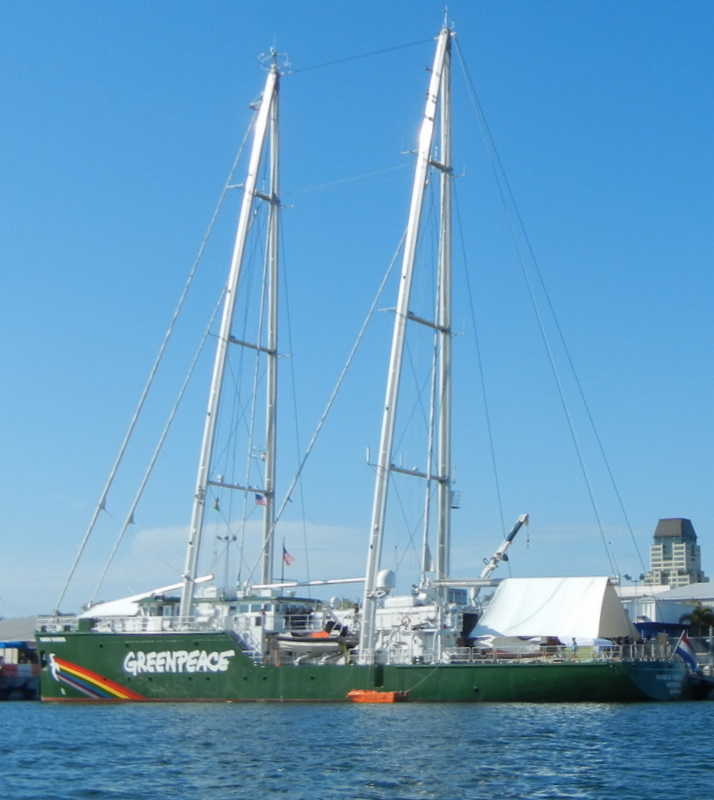 We took the dinghy out for a spin around the harbor and saw the sailboat Greenpeace Rainbow Warrior out of Amsterdam. Dinner that evening was at the Red Mesa Cantina & Lucha Bar. We ate at a garden table beside a waterfall. 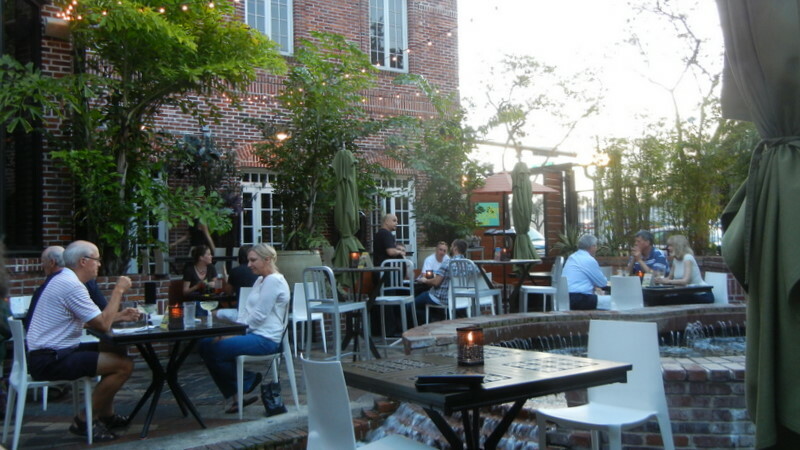 It is an excellent restaurant and not overly expensive. The marina wouldn't let us park in their lot overnight so we headed for Tarpon Springs and stayed at an RV Park there on the Anclote River.